GREENEVILLE, TENN. - Prior to adjournment of the Greeneville City School Board meeting on September 25, 2018, board member Jerry Anderson recognized the district, and Beverly Miller, assistant director of schools and chief technology officer for the district being featured in the Tennessee School Board Association Journal, Summer 2018 edition. 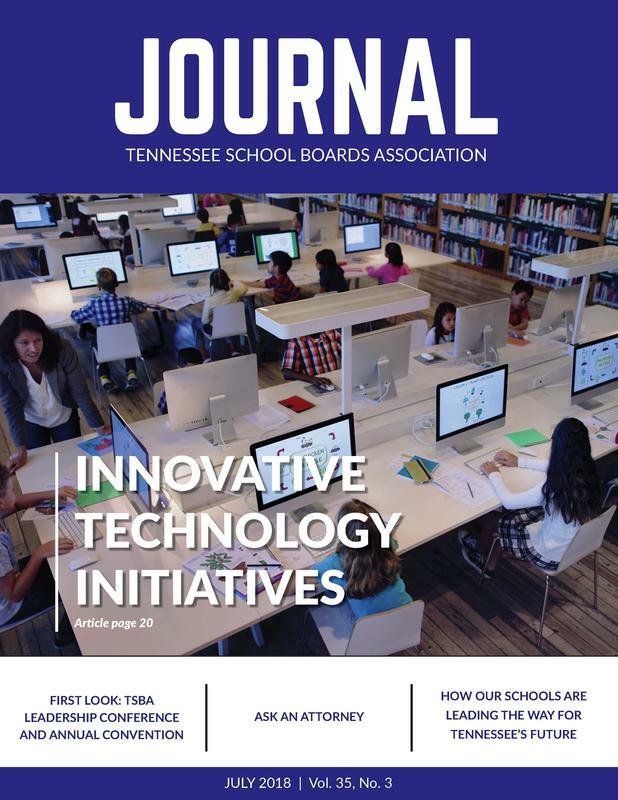 The six-page article profiled the district as one of three Tennessee districts honored through the Digital Education’s 2017-2018 Digital School Districts Survey Awards. GCS and its School Board was recognized for innovative technology initiatives in the category of small student population district category, 3,000 students or less. For many years, instructional technology has been a seamless component of Greeneville City Schools’ classroom excellence. For the third consecutive year, the district ranked in the top-ten school districts in the United States for its innovative utilization of instructional technology according to the Center for Digital Education. The district ranked number six in 2018, the highest ranking to date.